Perennial groundcover with dark burgundy glossy leaved foliage and light blue flowers in late spring through summer. Semi-shade to shade. Indigenous. Fast growing grondcover with dark glossy green leaves and cream foxglove-like flowers. Sun to semi-shade. Indigenous. Thorny, dark green groundcover with fragrant white flowers followed by red berries in autumn. Good coastal plant. Evergreen. Semi hardy. Sun. Indigenous. Mound forming groundcover with dianty green leaves and masses of tiny yellow flowers. Trim to encourage bushiness. Sun to semi-shade. 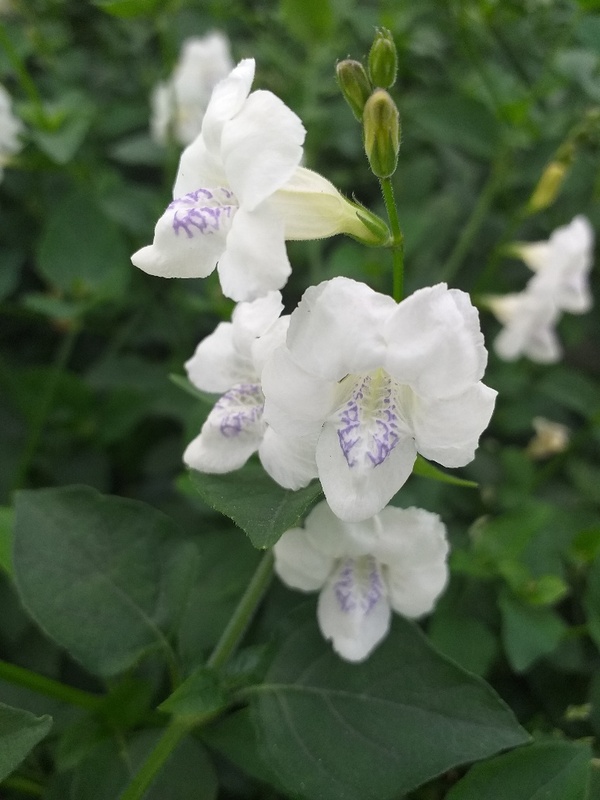 Low growing, fast spreading groundcover with bright blue trumpet shaped flowers in summer. Hardy. Sun. Indigenous. Moderate to fast growing, mat forming, evergreen groundcover. Produces an outstanding effect when planted in masses. Plant in shade to semi-shade. Indigenous. Flat growing succulant groundcover with purple flowers from spring to summer. Hardy. Sun to semi-shade. Indigenous. A prostate grondcover , with small grey foliage and yellow button shaped flowers in spring. Evergreen. Hardy. Sun. Low growing groundcover with masses of single white flowers that turn pink. Flowers all year round. Evergreen. Hardy. Sun. Groundcover with blue-green leaves. Covered in blue, Morning Glory-like flowers for most of the year. Evergreen. Hardy. Sun. Indigenous. Bushy compact flat-growing groundcover. Green and white leaves and small blue daisy-like flowers all year round. Evergreen. Semi-hardy. Sun. Fast growing groundcover or climber. Can cling to walls. New growth is bronze-red in colour. Evergreen. Tender. Sun to shade. Indigenous. 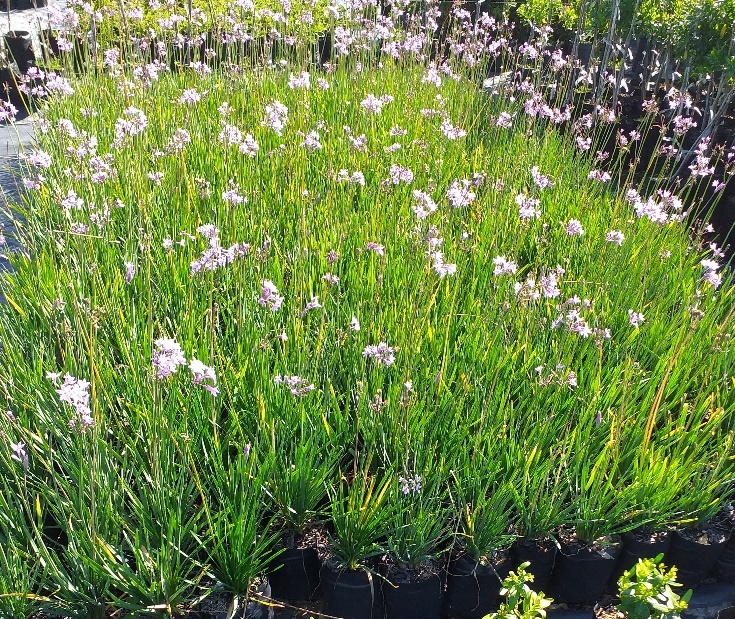 Fast growing groundcover with single purple flowers from spring to autumn. Evergreen. Semi-hardy. Sun. Indigenous. Aromatic small round grey foliage with creeping habit. Yellow flowers in summer. Evergreen. Hardy. Sun. Indigenous. Aromatic, grey woolly foliage with robust habit and cream flowers in summer. Does well in dry conditions. Sun. Indigenous. Succulent ground cover or small shrub with showy bright pink flowers. Evergreen. Hardy . Sun. Indigenous. Succulent ground cover or small shrub with showy bright flowers in pink, white, orange and red. Evergreen. Sun. Indigenous. 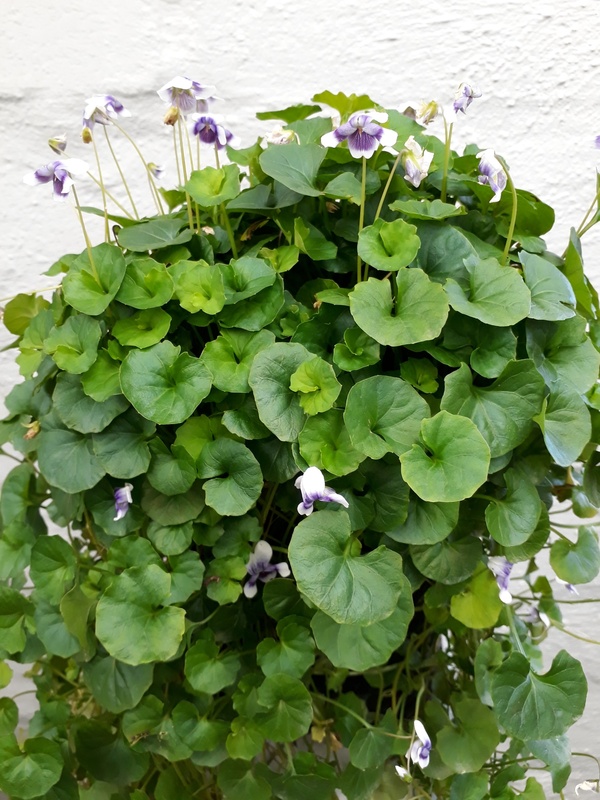 Large groundcover with attractive foliage having a purple underside. White-lilac flowers all year round. Evergreen. Hardy. Sun to Shade. Very fast-growing groundcover with green and white variegated foliage and spikes of whitish flowers. Evergreen. Semi-hardy. Sun to semi-shade. Indigenous. Succulent-like grey leaved groundcover with blue flowers in summer. Hardy. Sun to shade. Indigenous. Growing shade loving wide spreading groundcover with small white fragrant flowers during many months of the year. Well used in hanging baskets, containers and window boxes. Indigenous. Groundcover with shiny, semi-succulent foliage, which is dark green tinged with maroon. Tubular white flowrs from spring to autumn. Semi-shade to shade. Grey, hairy leaved groundcover with lilac-pink flowers in summer. Hardy. Sun to semi-shade. Indigenous. Blue-grey, strap-shaped leaves with a fine white edge. Masses of mauve flowers on long stalks in summer. Evergreen. Hardy. Sun to semi-shade. Indigenous. 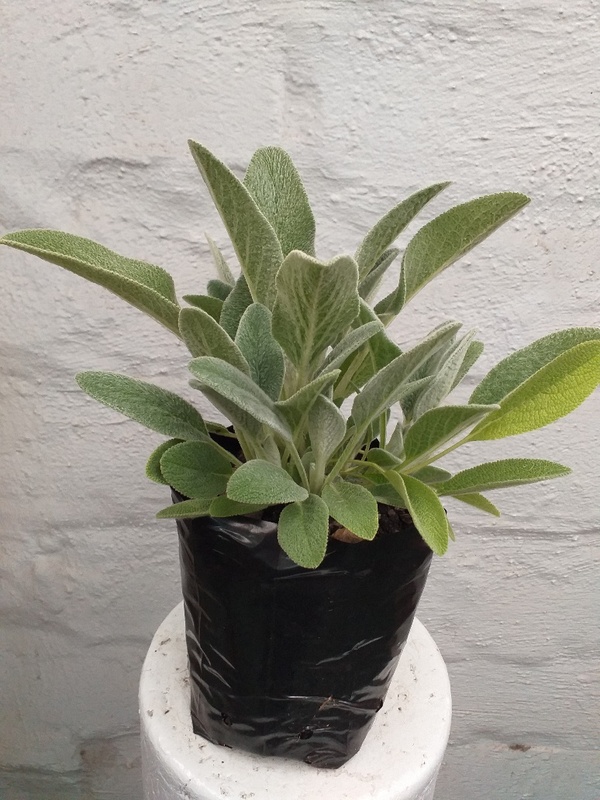 Fast growing, drought resistant, clump forming plant, with grey-green strap-shaped leaves. Round heads of small, mauve flowers on long stalks in summer. Evergreen. Hardy. Sun to semi-shade. Periwinkle is an evergreen groundcover with distinctive purple flowers in spring. Well-drained soils in full sun to part shade. Flat growing, spreading groundcover with green foliage. Lilac and white flowers mostly in summer. Evergreen. Hardy. Semi-shade.